This article is about the film organization. For other uses, see National Review (disambiguation). 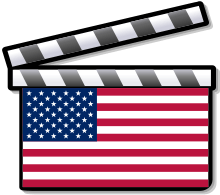 The National Board of Review of Motion Pictures was founded in 1909 in New York City, just 13 years after the birth of cinema, to protest New York City Mayor George B. McClellan, Jr.'s revocation of moving-picture exhibition licenses on Christmas Eve 1908. The mayor (son of the famed Civil War general) believed that the new medium degraded the morals of community. To assert their constitutional freedom of expression, theatre owners led by Marcus Loew and film distributors (Edison, Biograph, Pathé and Gaumont) joined John Collier of The People's Institute at Cooper Union and established the New York Board of Motion Picture Censorship, which soon changed its name to the National Board of Review of Motion Pictures to avoid the taint of the word "censorship". In 1930, the NBR was the first group to choose the ten best English-language movies of the year and the best foreign films, and is still the first critical body to announce its annual awards. The NBR has also gained international acclaim for its publications: Film Program (1917–1926); Exceptional Photoplays (1920–1925); Photoplay Guide to Better Movies (1924–1926); National Board of Review Magazine (1926–1942); New Movies (1942–1949); and Films in Review, which published its first issue in 1950. Influencing generations of filmmakers and film lovers, these journals have fostered commentary on all aspects of cinema production and history, counting among contributors Alfred Hitchcock, Fritz Lang, Harold Robbins, Tennessee Williams, Dore Schary, William Saroyan, James Agee, Manny Farber, William K. Everson, Alistair Cooke, and Pearl Buck. To determine the NBR's annual awards, ballots are sent in by over one hundred members — select knowledgeable film enthusiasts, academics, filmmakers, and students in the New York metropolitan area — and subsequently tabulated by a certified public accountancy firm in order to decide the winners. In addition, the Awards Jury helps to determine the special achievement awards presented at the annual gala in January. The organization also works to foster commentary on all aspects of film production by underwriting educational film programs and seminars for film students. In 2016, the NBR reached out to the community to The Reel Works Teen Filmmaking, The Ghetto Film School and The Educational Video Center through grants. The organization also awarded grants to seventeen student filmmakers as part of its annual Student Grant Program. Note: Until 1945, there were only awards for Best Picture and intermittent awards for Best Documentary and Best Foreign Film. ↑ "SCREEN MAGAZINE BOWS; Films in Review, Published by National Board, Out Today". The New York Times. 1 February 1950. Retrieved 16 February 2010.